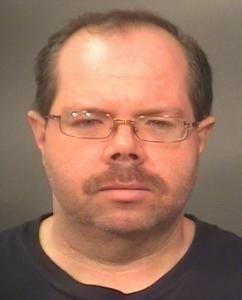 (Newser) – The FBI has arrested an Indiana man who allegedly blackmailed 14-year-old boys into uploading sexually explicit images and videos of themselves, MSNBC reports. According to chilling court documents, Richard Leon Finkbiner, 39, befriended the boys online and enticed them into uploading the explicit material. He then threatened to show it to friends or family if they wouldn't upload more. Worse, evidence on Finkbiner's computer suggests "several hundred" other victims of roughly the same age. finkbiner in jail? is that why finkster hasnt commented yet?